DOVER, Del. 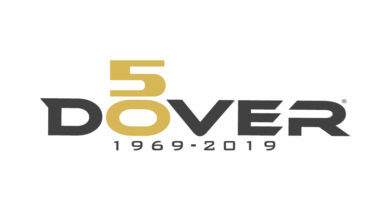 (Jan. 18, 2019) – One lucky fan has the chance to attend each NASCAR Cup Series event at Dover International Speedway for the next 50 years as part of the Monster Mile’s “Golden Tickets” promotion, track officials announced today. To enter, fans just need to complete a simple online survey. The contest begins today and ends on Monday, April 1, with the winner announced later that week. Fans can access the form at www.doverspeedway.com/goldenticketscontest. The Monster Mile’s 50th anniversary racing season begins with a NASCAR tripleheader weekend May 3-5, which includes the “JEGS 200” NASCAR Gander Outdoors Truck Series race on Friday, May 3 and the NASCAR Xfinity Series Dash 4 Cash race on Saturday, May 4. Keep up to date on all 50th Anniversary announcements and schedules by calling (800) 441-RACE or visiting DoverSpeedway.com. You can also keep up with all track activities at Facebook.com/DoverInternationalSpeedway, or on Twitter and Instagram at @MonsterMile.